We identify dysfunction in muscles, nerves and joints of the body. Then we use the best treatments to correct them. We treat the cause of the complaint not just the symptoms, this reduces the possibility of future episodes. It is our goal to help restore your optimum health and eradicate your pain. We love to see new patients at the clinic. We have previously helped hundreds of people so call for an appointment today. If you would like to speak to a Chiropractor about your complaint to find out whether we can help then contact our clinic on 07800 600 641 / 0161 790 4108. We never realise how much we rely on our bodies until our health lets us down. On your first visit we will welcome you to the clinic then take a thorough history followed by a comprehensive orthopaedic and neurological examination. This provides all the information which enables your chiropractor to make the correct diagnosis of your problem. We will explain to you the nature of the problem and then advise you on the correct course of treatment. Chiropractic is a profession concerned with the diagnosis and treatment of muscle, joint and entrapped nerve complaints and the effects that these disorders have on the body. We are skilled in the knowledge of identifying the dysfunction in the muscles and joints of the body. We are then able to utilize the best and appropriate treatments to correct them. By improving the function of muscles, nerves and joints we restore the natural function of the body relieving the accompanying pain and stiffness. We treat the cause of the complaint not just the symptoms, this reduces the possibility of future recurrences and minimizes wear and tear in the tissues. The dysfunction that leads to pain and stiffness arises from poor posture, repetitive strain injuries, accidents, stress, lack of exercise, physical stress and everyday wear and tear on the tissues. Muscle can become over worked, weak and spasm. The loss of normal function of the spinal bones can cause compression and inflammation of the joints and nerves that exit from between the spinal vertebrae. These spinal nerves supply every part of your body. Through this connection, spinal problems can affect the function of muscles, joints and organs. We use specific chiropractic adjustments (manipulations) of joints to restore their normal function. The result is increase in mobility, decreased pain and removal of irritation of the nerves restoring health. 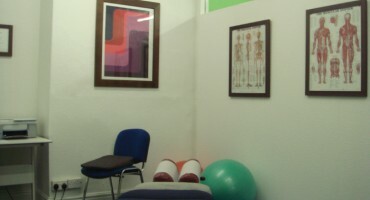 We use a range of different techniques to relieve pain, muscle spasm and rehabilitate muscular dysfunction, such as deep tissue sports massage, stretching exercises, Trigenics and acupuncture to relax tight muscles. Applied kinesiology and strengthening exercises are used to treat weak muscle. 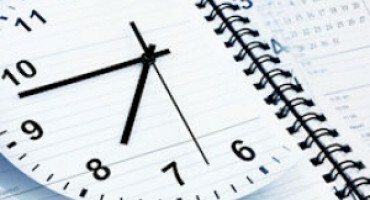 Take a look at the research section on this site. The inception of chiropractic can be traced back to 1895 when Canadian Daniel David Palmer performed the first chiropractic adjustment and went on to found The Palmer School of Chiropractic in Davenport, Iowa in 1897. Back pain is one of the most common conditions in the UK and also one of the largest causes of work related absence. Back pain can effect anyone, and is not restricted to age but is more common is people who are between the ages of 35 and 55. Back Pain can also be very painful and uncomfortable but is not usually serious. In the majority, most causes of back pain can be linked to the way muscles, bones and ligaments in the back work together. 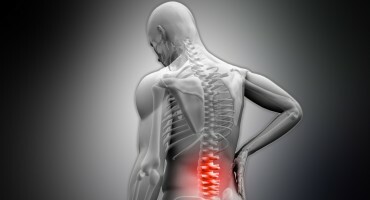 Type of Back Pain: ‘ Lower Back Pain, Middle Back Pain, Upper Back Pain’ Salford Chiropractor ’Pete Swarbrick’ at Swinton Chiropractic is skilled in treating back aches/back pain for patients across Salford and Manchester. Salford Chiropractor ’Pete Swarbrick’ at Swinton Chiropractic is skilled in treating Sciatica Salford and Sciatica Manchester. Salford Chiropractor ’Pete Swarbrick’ at Swinton Chiropractic is skilled in treating back SPORT INJURY Salford and WHIPLASH Manchester. Whiplash is commonly associated with motor vehicle accidents, usually when the vehicle has been hit in the rear however the injury can be sustained in many other ways, including falls from bicycles or horses or head banging. Manchester Chiropractor ’Pete Swarbrick’ at Swinton Chiropractic is skilled in treating back WHIPLASH Manchester, WHIPLASH Salford. Salford Chiropractor ’Pete Swarbrick’ at Swinton Chiropractic is skilled in treating HEADACHES Salford, MIGRAINES Manchester. Shoulder problems, including pain, are one of the more common reasons for physician visits for musculoskeletal symptoms. The shoulder is the most movable joint in the body. However, it is an unstable joint because of the range of motion allowed. It is easily subject to injury because the ball of the upper arm is larger than the shoulder socket that holds it. To remain stable, the shoulder must be anchored by its muscles, tendons, and ligaments. Some shoulder problems arise from the disruption of these soft tissues as a result of injury or from overuse or under use of the shoulder. Other problems arise from a degenerative process in which tissues break down and no longer function well. Salford Chiropractor ’Pete Swarbrick’ at Swinton Chiropractic is skilled in treating SHOULDER PAIN Manchester, SHOULDER PAIN Salford. Neck pain (or cervicalgia) is a common problem, with two-thirds of the population having neck pain at some point in their lives. It is increasing in both intensity, frequency and severity of episodes. As people are increasingly sedentary, live fast-paced and hectic lives, they place more stress and strain on the upper back and neck regions of their spines. Neck pain may also arise from many other physical and emotional health issues. Salford Chiropractor ’Pete Swarbrick’ at Swinton Chiropractic is skilled in treating NECK PAIN Manchester, NECK PAIN Salford.